Action Jackson had a very poor second week with a drop of 75% it is headed for a big loss for all concerned. Second Sunday remained flat with only slight growth on Second Saturday. Despite Lack of competition action Jackson has dropped heavily on Friday. Action Jackson had a steady first week with some promotions helping it through the week. First Week of Action Jackson is 14th Highest of 2014. Amongst Ajay Devgan movies Action jackson is 8th Highest all time first week being lower than older movies like Satyagraha, Rajneeti and the first part of Singham. Action Jackson did well in single screens but failed to do well and multiplexes. 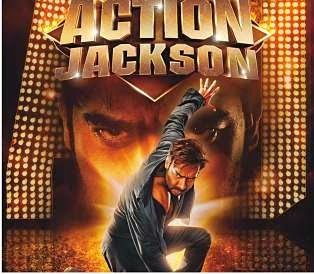 Action Jackson has a lower first week than even Prabhudeva’s last R Rajkumar which had a gross of 47 crores in its first week. Previous ArticlePK First Day Worldwide Box Office Collection and Budget: 6th Highest All timeNext ArticlePK Box Office opening: Bumper Start Across All Cities in india.